A great daytime sleep and feeding schedule is essential in order to help your baby or toddler sleep through the night and take long, restorative naps during the day. But creating a great baby or toddler schedule can be tough! That’s why we created this Baby and Toddler Schedule Maker. Simply select your baby or toddler’s age and usual morning wake-time, hit the ‘Submit’ button, and you’ll receive a customized sleep schedule. It’s that simple! 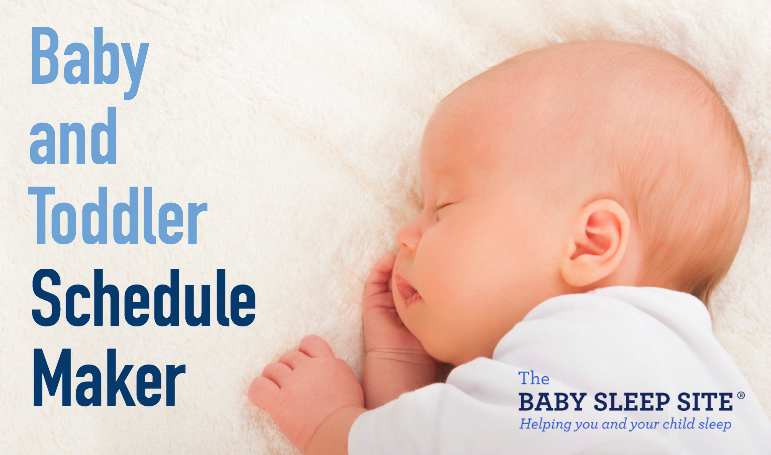 Note that this schedule maker does not include suggested feeding times. We do provide a more robust schedule maker, that includes extended wake-time options AND suggested feeding times for babies and toddlers of all ages, in our Members Area. To access this full-service schedule maker, become a member today! You’ll receive instant access to the members-only schedule maker, as well as access to e-books, tele seminars, case studies, weekly chats with a sleep consultant, and a 20% discount on all consulting services. Click here for sleep scheduling tips for babies age newborn – 2 months.